Here’s your chance to try out a new restaurant, sample local chef’s favorites, or have a date night at special, reduced prices. Winter Restaurant Week in Baltimore, runs from January 11 to 20 this year. Over 95 participating restaurants throughout Baltimore City will be offering two-course lunch and brunch menus from $12 to $20 and three-course dinner menus from $20 to $35. Some restaurants often extend their restaurant offering beyond the 10-day restaurant week period. 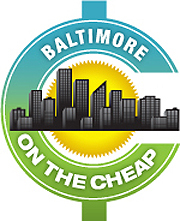 Baltimore Restaurant Week is organized by the Downtown Partnership of Baltimore and Visit Baltimore. One of the sponsors is Open Table, where you can go online to make a reservation. Many Baltimore Restaurant Week Participants also offer free or discount valet parking. Get parking details here. Check out the Baltimore Restaurant Week website to view the full list of participating restaurants and their menus on the website. You can browse the participating restaurants alphabetically, by menu type, by cuisine type, or by neighborhood. Reservations are recommended at most restaurants. You can also get updates on their facebook page. You can find other restaurant deals here.